Daks and hits mates go off to camp in the bush. In the middle of nowhere. Completely alone. What could possibly go wrong? Apart from snakebites, wild pigs and bush fires, nothing: if you are the only people around. But someone else is on the same mountain and that someone else didn’t want to be found. Uh oh. Get ready for a mess of action and intrigue. Only Daks and his mates could manage to get themselves into this much strife, but can they get out of it? It’s enough to drive a kid around the bend. 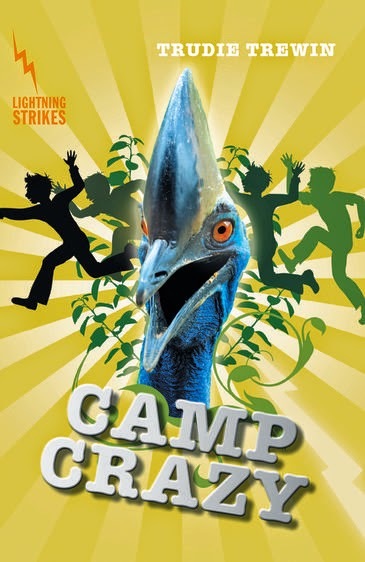 There are always plenty of laughs along the way in the Lightning Strikes series and Camp Crazy is no exception. Following on from where Camp Croc left off, Camp Crazy pushes the edge of believable just a little bit further. There’s plenty of boy humour to keep you smiling as you read, with just enough Dak’s Facts. Read it. You know you want to.